National Life Group "Do Good" Award presented to the TrueWealth team recognizing their volunteer efforts with Meals on Wheels of NWI. 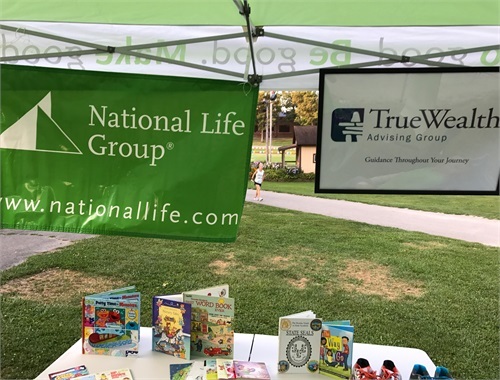 TrueWealth Advising Group partnered with Hometown Happenings to collect new and gently used childrens books at the Hub City Races on September 10th. To date we have collected over 3,000 books to be distributed to underprivileged children in Northwest Indiana. Distribution sites include local food pantries, elementary schools and the City Life Youth Center. TrueWealth Advising was awarded the National “Do Good” award in February. 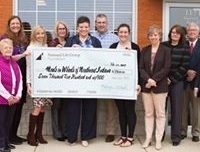 National Life Group has awarded Meals on Wheels of NWI $7,500 and the Crown Point Community Foundation $500 in recognition of our Team’s efforts. 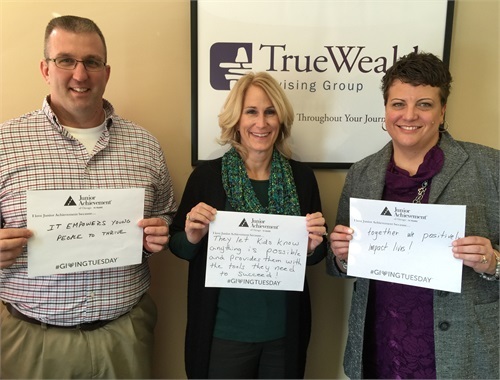 The TrueWealth Advising Group team has a monthly commitment with Meals on Wheels to deliver a Friday route. Hot meals and an evening snack are delivered to around fifteen households in the Crown Point area. When the day comes to deliver, typically we all clamor over who “gets to go.” Relationships and even friendships have been established over the years with the clients along Route 3. Carey Yukich currently serves on their Development Committee and John Yukich is a proud member of the “Grasshopper Crew” caring for the lawn and property at the MOW facility. Carey currently serves on the Investment Committee and Jennifer is a past Board, Grants and Scholarship Committee Member of this dynamic organization. Hundreds of students as well as residents throughout our communities are the recipients of this organization’s grants and projects. 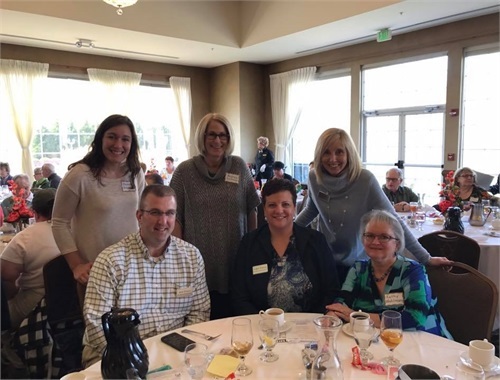 Carey and Jennifer are past members of the Executive Leadership Team and help to sustain the organization through donor solicitation and working partnerships. Jennifer continues to assist in the writing and editing of their grant requests.